St. Patrick’s Day. Corned beef and cabbage. All that’s missing is the Guinness, right? Well, I don’t subscribe to the notion that we must have a Guinness with the corned beef and cabbage. Sure, it’s St. Patty’s day, break out the Guinness for festivities’ sake, but I have bigger plans for my pairing. Alright, so I got a Guinness (pictured above right) with the corned beef and cabbage, but that was just to see what would happen with the pairing. You have to do it just for experiment’s sake. I have nothing against Guinness, by the way. I actually like Guinness if I want something lighter and more easy-drinking. But I just like to be different. Not follow the crowd. You know? Really, I just want more flavor in my beer. Going into this pairing, I believed that the only reason corned beef and cabbage and Guinness went together (in people’s minds) was that they are both Irish. Read on, please. My venue of choice was Oscar Wilde’s Irish Pub, which, despite the simple and unassuming name, is a great place to go for a delicious, authentic Irish meal. I’ve eaten here before, and the food is top notch. The corned beef and cabbage comes with a Bushmills Irish Honey Whiskey Vanilla Mustard, which gives a nice little tang to the dish, along with a side of sweet potato champ. “Champ” apparently means “mash” in the Emerald Isle. 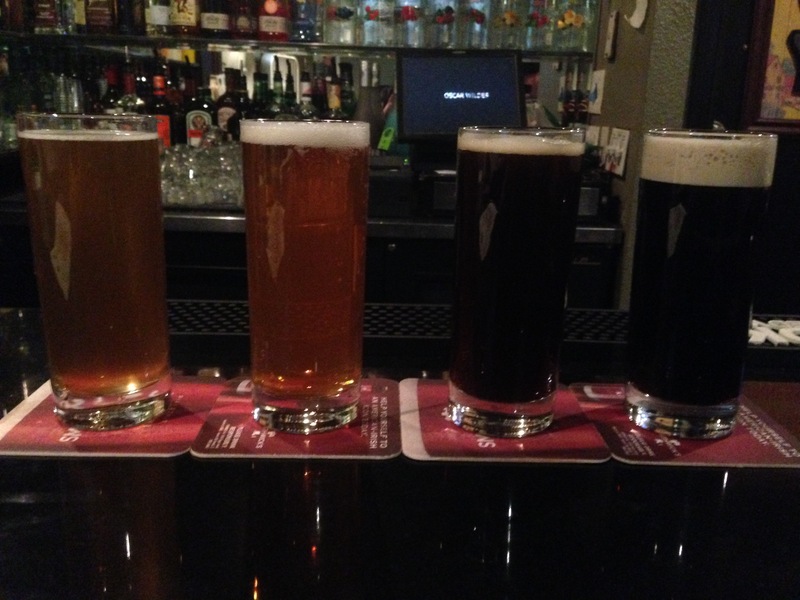 So, in tasting order, I went with the Alesmith Lil’ Devil, Alpine Hoppy Birthday, Avery Ellie’s Brown Ale, and Guinness Stout on nitro. The Lil’ devil is a mini Belgian Ale with an approachable flavor profile and a classic Belgian character (fruit, spice) that is not too overbearing. The dish acted to dry this beer out quite a bit and strip it of much of its flavor. Brought out fruity flavor a little more but left me wanting more body and depth. It really just flattened out the beer. Hoppy Birthday is a pale ale from Alpine Brewery which, interestingly enough, I featured in my previous post. This pale ale has a really nice jammy fruit flavor. I tend to liken Alpine’s beers to a hoppy berry jam. If someone were to make a jam with a pale ale, this is what it might taste like. A good malt presence to balance out the hops, but they just use so much hops (probably heavy late in the boil and dry hop to give it lots of flavor and aroma without too much harsh bitterness). Anyway, with the dish, this one fell a little flat as well. The dish managed to dry the beer out as well and take away that jammy flavor. It wasn’t bad overall, but not what I was looking for. Next up was the Ellie’s Brown Ale from Avery, a Colorado-based brewery that is really renowned for their big beers, some clocking in at close to 20% alcohol. 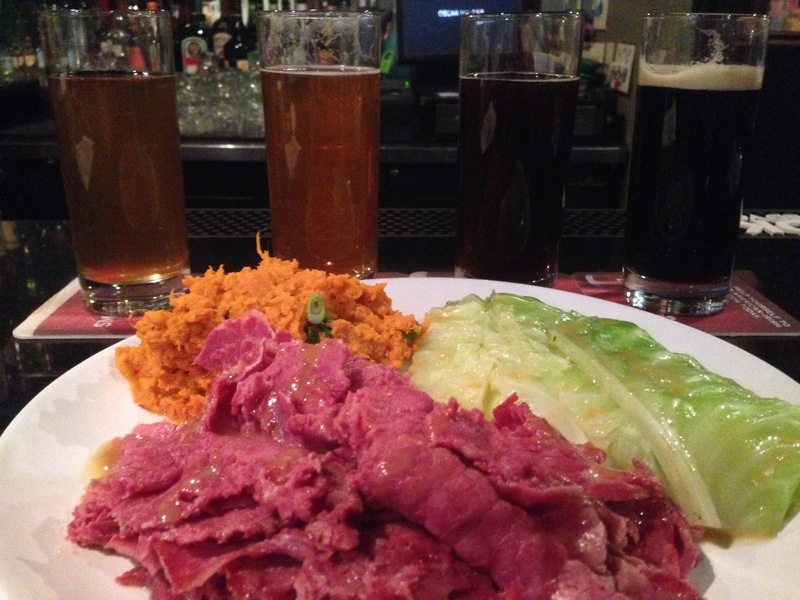 Well, not to make it that kind of night, I went with their brown ale – a malty, toasty beer that has a bit of light chocolate flavor – something that I thought might pair nicely with a dish rich, salty dish such as corned beef and cabbage. Not so much. Once again, the dish stripped away the malt flavor of the beer and thus took away the balancing factor that contrasts the hop bitterness. Just not a good blend of flavor. At this point, I was looking at the tap list for a beer that I thought would work. I still had the Guinness in front of me, beckoning, calling my name, waiting for me to give to give it a shot. I had every intention to, but I just did not have high hopes. Well, my lack of faith was completely unfounded. Oysters and Irish Stout is a classic, yet contrasting pairing that pairs the dry, roasty-bitter flavor of the stout with the briny and sweetish flavor of the oysters. There could be a similar effect happening here; you have the corned beef, which is salty to no end. Then you have the cabbage, which, in this case, was not too sulfuric like it can be but rather had a nice sweetish flavor to it. Guinness Draught, the standard Guinness pint that is served on nitro at the pubs, is super dry. I noted above that the dish was stripping away the beers’ sweetness. The complete opposite effect happened here. The beer became sweeter, rounder, creamier, fuller-bodied. Amazing. The fact that the beer is very dry to begin with plays into this, no doubt, but it is still an eye-opening revelation. It’s almost as if the beer’s flavor (sweetness) is simply gravitating toward that of the dish. And apparently, pairing a beer drier than a dish is better (in this case) than pairing a beer sweeter than a dish. So, remember when I said that I don’t buy into the whole default Guinness food pairing thing? Well, I will still not follow blindly into a pairing, but my view on Guinness and food pairings has completely changed. Quick side note: ordered a half pint of Smitwicks, and it was also a very good pairing. It had a similar effect as the Guinness, bringing out sweetness in the beer. Also, the best pairing for the Sweet Potato Champ (mash with scallions) side was the Hoppy Birthday. Really nice, even blend of flavor, putting all flavor components on an even keel. 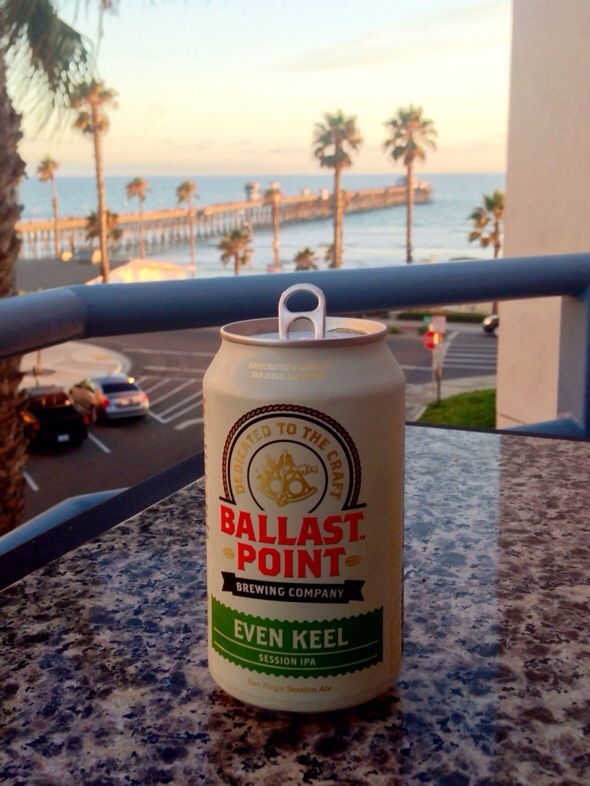 Funny, I think a Ballast Point Even Keel Session IPA would go nicely with this as well. But I digress. Sláinte!